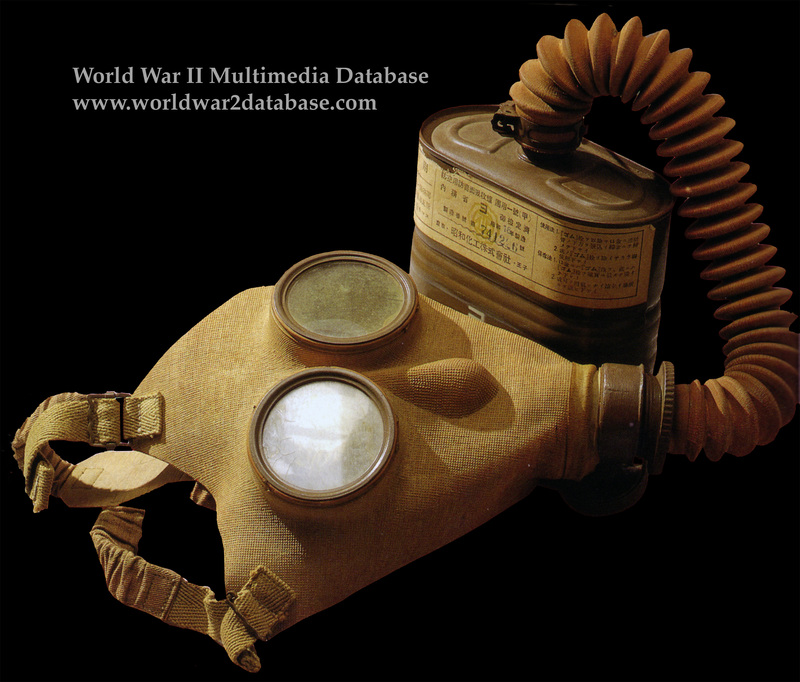 The Japanese Army Model 99 gas mask is definitely the most commonly found Japanese gas mask during the war. It features a soft tan rubber face piece and an elastic/fabric head harness. A variation of the Model 99 was also issued with the filter attached directly to the face piece. The Model 99 is most likely a civilian mask but it may have been used by the military as well. Thousands of these masks were issued to civilians in case of chemical attack or for firefighting.